Think RMS For Same Day Service! Our product line of USA branded quality electrical fittings value priced 30% below major brand lines. 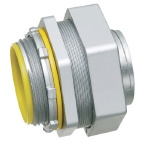 A. It’s a line of quality USA branded fittings that is value priced (approx. 30% below major brand lines) to maximize your profits. A. Our material comes from Manufacturers, Distributor’s over-stock and project overages. We do not import. A. Yes, they are issued upon request and will list your business as a Certificate Holder. A. The majority of our material is factory boxed. On occasion, however, it is necessary to re-box in custom made boxes. A. Our policy is to ship the same day. Some exceptions apply due to freight carrier pick-up time restrictions. A. We ship via the customer’s preference. Direct shipment is available. A. No! We sell exclusively to Electrical Distributors! A. Yes! With an average sales experience of 34 years, we definitely have the ability to find equivalents when requested! A. Call us! We purchase and stock material daily! A. Yes, if you have an urgent after hours requirement, click HERE for help.